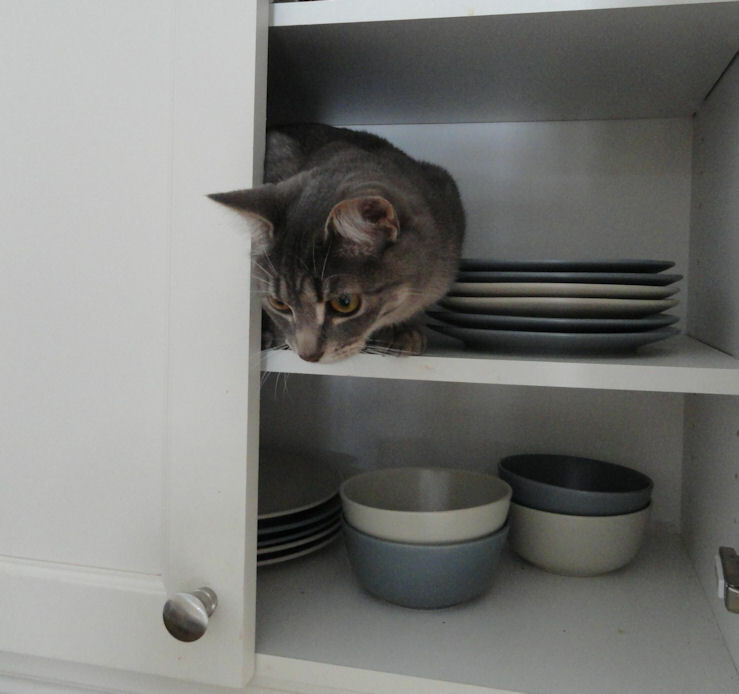 I keep forgetting that I need to shut the cupboard doors these days. The other day I couldn't figure out what the banging in the cupboard was about. It was our Bootsie, the one we call "Boo". How to make the most of something being in the wrong place - take a good photo of it!